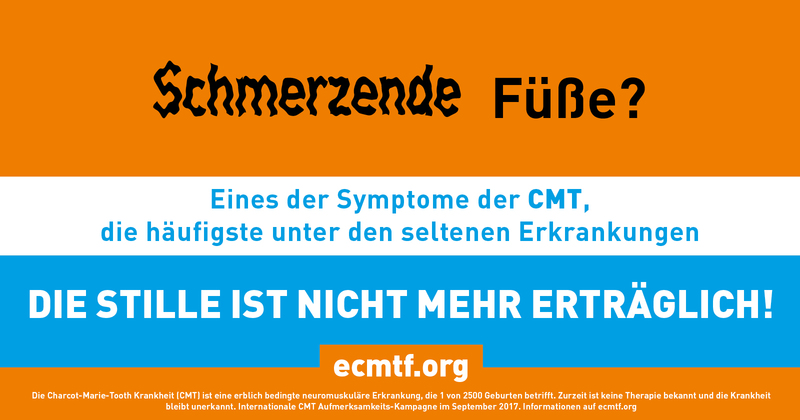 Charcot-Marie-Tooth disease (CMT) is an inherited disease of the peripheral nervous system without known cure. It has a prevalence of one in 2500 people. Affected patients suffer from sensory and motor impairments in various degrees depending on the amount of axonal loss. Until now risk factors and the underlying molecular mechanisms are poorly understood. 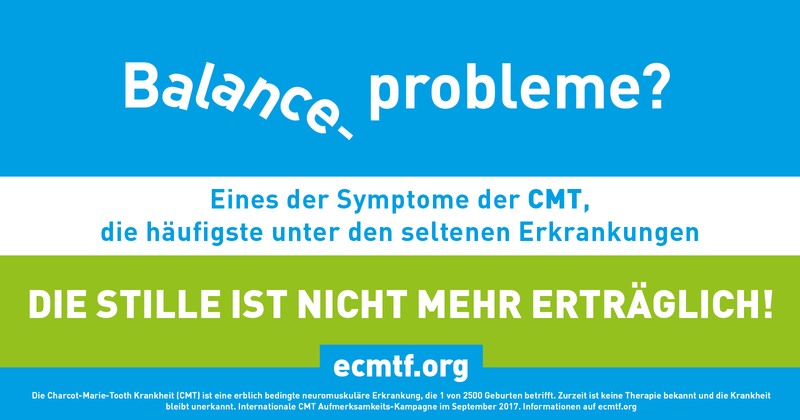 CMT-NET uses interdisciplinary expertise in order to identify genetic and non-genetic risk factors of disease severity of CMT. The mechanisms of the disturbed axon-glia-interaction and the identification of genetic modifiers constitute a major basic research focus. 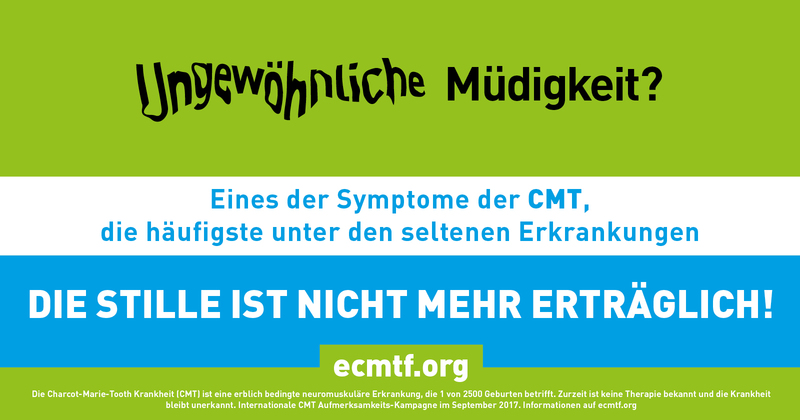 CMT-NET aims to identify novel therapeutic targets and investigates the validation of outcome measures in children and adults. The consortium will establish a biobank and explore the disease burden via an internationally harmonized patient registry. The networks approach bridges cutting edge molecular screening techniques, transgenic animal models of altered axon-glia interactions (fly, chick, mouse and rat), state-of-the-art genomic technologies and human patient trials in order to understand and treat the disease aggravation in CMT. PLoS One. 2019 Jan 16;14(1):e0209752. doi: 10.1371/journal.pone.0209752. eCollection 2019. Hum Genet. 2018 Dec;137(11-12):911-919. doi: 10.1007/s00439-018-1952-6. Vill K, Müller-Felber W, Gläser D, Kuhn M, Teusch V, Schreiber H, Weis J, Klepper J, Schirmacher A, Blaschek A, Wiessner M, Strom TM, Dräger B, Hofmeister-Kiltz K, Tacke M, Gerstl L, Young P, Horvath R, Senderek J.
Phan V, Cox D, Cipriani S, Spendiff S, Buchkremer S, O’Connor E, Horvath R, Goebel HH, Hathazi D, Lochmüller H, Straka T, Rudolf R, Weis J, Roos A.
Nat Commun. 2018 Aug 2;9(1):3025. doi: 10.1038/s41467-018-05420-0. Fledrich R, Abdelaal T, Rasch L, Bansal V, Schütza V, Brügger B, Lüchtenborg C, Prukop T, Stenzel J, Rahman RU, Hermes D, Ewers D, Möbius W, Ruhwedel T, Katona I, Weis J, Klein D, Martini R, Brück W, Müller WC, Bonn S, Bechmann I, Nave KA, Stassart RM, Sereda MW. Acta Neuropathol. 2018 Jan;135(1):131-148. doi: 10.1007/s00401-017-1756-0. Bouhy D, Juneja M, Katona I, Holmgren A, Asselbergh B, De Winter V, Hochepied T, Goossens S, Haigh JJ, Libert C, Ceuterick-de Groote C, Irobi J, Weis J, Timmerman V.
J Neurol Neurosurg Psychiatry. 2017 Nov;88(11):941-952. doi: 10.1136/jnnp-2017-315721. Epub 2017 Aug 31. J Peripher Nerv Syst. 2017 Sep;22(3):182-190. Doppler K, Frank F, Koschker AC, Reiners K, Sommer C.
Rudnik-Schöneborn S, Auer-Grumbach M, Senderek J. Safety and efficacy of olesoxime in patients with type 2 or non-ambulatory type 3 spinal muscular atrophy: a randomised, double-blind, placebo-controlled phase 2 trial. Lancet Neurol. 2017 Jul;16(7):513-522. doi: 10.1016/S1474-4422(17)30085-6. Epub 2017 Apr 28. Bertini E, Dessaud E, Mercuri E, Muntoni F, Kirschner J, Reid C, Lusakowska A, Comi GP, Cuisset JM, Abitbol JL, Scherrer B, Ducray PS, Buchbjerg J, Vianna E, van der Pol WL, Vuillerot C, Blaettler T, Fontoura P; Olesoxime SMA Phase 2 Study Investigators. The ALS-linked E102Q mutation in Sigma receptor-1 leads to ER stress-mediated defects in protein homeostasis and dysregulation of RNA-binding proteins. Cell Death Differ. 2017 Oct;24(10):1655-1671. doi: 10.1038/cdd.2017.88. Dreser A, Vollrath JT, Sechi A, Johann S, Roos A, Yamoah A, Katona I, Bohlega S, Wiemuth D, Tian Y, Schmidt A, Vervoorts J, Dohmen M, Beyer C, Anink J, Aronica E, Troost D, Weis J, Goswami A. Muscle Nerve. 2017 May;55(5):752-755. doi: 10.1002/mus.25410. Orphanet J Rare Dis. 2017 Mar 16;12(1):52. doi: 10.1186/s13023-017-0598-0. Schoser B, Fong E, Geberhiwot T, Hughes D, Kissel JT, Madathil SC, Orlikowski D, Polkey MI, Roberts M, Tiddens HAWM, Young P.
Presynaptic Calmodulin targets: lessons from structural proteomics. Expert Rev Proteomics. 2017 Mar;14(3):223-242. doi: 10.1080/14789450.2017.1275966. Lipstein N, Göth M, Piotrowski C, Pagel K, Sinz A, Jahn O. Am J Hum Genet. 2017 Mar 2;100(3):523-536. doi: 10.1016/j.ajhg.2017.01.024. Wiessner M, Roos A, Munn CJ, Viswanathan R, Whyte T, Cox D, Schoser B, Sewry C, Roper H, Phadke R, Marini Bettolo C, Barresi R, Charlton R, Bönnemann CG, Abath Neto O, Reed UC, Zanoteli E, Araújo Martins Moreno C, Ertl-Wagner B, Stucka R, De Goede C, Borges da Silva T, Hathazi D, Dell’Aica M, Zahedi RP, Thiele S, Müller J, Kingston H, Müller S, Curtis E, Walter MC, Strom TM, Straub V, Bushby K, Muntoni F, Swan LE, Lochmüller H, Senderek J. A neuronal PI(3,4,5)P3-dependent program of oligodendrocyte precursor recruitment and myelination. Nat Neurosci. 2017 Jan;20(1):10-15. doi: 10.1038/nn.4425. Partial Immunoblotting of 2D-Gels: A Novel Method to Identify Post-Translationally Modified Proteins Exemplified for the Myelin Acetylome. Proteomes. 2017 Jan 12;5(1). pii: E3. doi: 10.3390/proteomes5010003. Kusch K, Uecker M, Liepold T, Möbius W, Hoffmann C, Neumann H, Werner HB, Jahn O.
ALS and MMN mimics in patients with BSCL2 mutations: the expanding clinical spectrum of SPG17 hereditary spastic paraplegia. J Neurol. 2017 Jan;264(1):11-20. doi: 10.1007/s00415-016-8301-2. Musacchio T, Zaum AK, Üçeyler N, Sommer C, Pfeifroth N, Reiners K, Kunstmann E, Volkmann J, Rost S, Klebe S.
Acta Neuropathol. 2016 Nov 28. [Epub ahead of print] Review. Weis J, Claeys KG, Roos A, Azzedine H, Katona I, Schröder JM, Senderek J.
Sci Rep. 2016 Nov 23;6:37393. Bernhart SH, Kretzmer H, Holdt LM, Jühling F, Ammerpohl O, Bergmann AK, Northoff BH, Doose G, Siebert R, Stadler PF, Hoffmann S.